Get the single-source solutions guide to the sustainablemanagement of water resources. Why is water the environmental issue? The answer is simple:without it, life on this planet could not exist. Yet, despite thisfact, reckless consumption practices from a growing population aredrying up the Earth's already limited water resources. Otherfactors, such as river and lake contamination, rising temperatures,and disproportionate geographic accessibility further contribute tothe fresh water crisis. 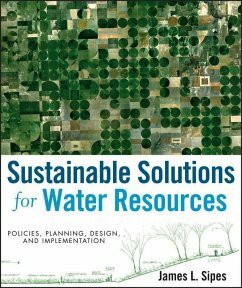 To confront this pressing concern, thisenlightening guide, which covers over twenty case studies offeringinsights into real-world projects, uses a holistic, integratedapproach to illustrate ways to preserve vital water supplies --from green design remedies to encouraging greater personalresponsibility. 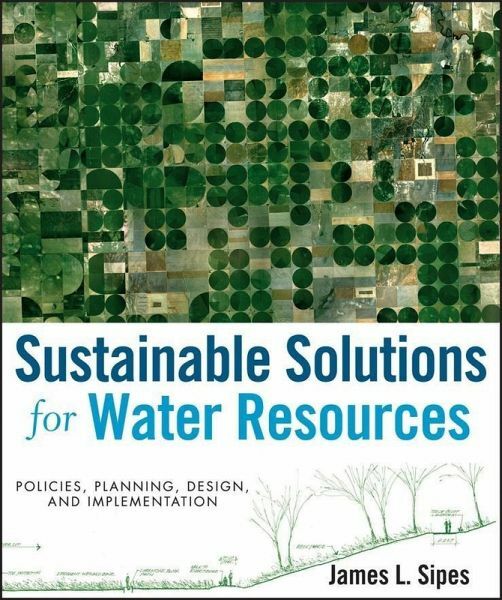 This book: * Provides a basic overview of water resources, hydrology,current problems involving water resources, and the potentialimpact of global warming and climate change. * Covers watershed planning, Best Management Practices, andpotential design and planning solutions. * Offers a concise overview of the issues affecting water use andmanagement. * Includes a full chapter dedicated to planning issues, and afull chapter covering site planning, design, andimplementation. Sustainable Solutions for Water Resources takes apractical approach to head off a global water catastrophe byoffering sensible measures that can be put in place immediately topromote a clean, plentiful flow of the Earth's most preciousresource. and Covenants. 4.10.4 Purchase of Development Rights. 4.10.5 Transfer of Development Rights. 4.10.6 Land Trusts. 4.10.7 Acquisition Programs. 4.11 Best Management Practices. 4.11.1 BMP Databases. 4.11.2 Structural and Nonstructural Best Management Practices. 4.11.3 Vegetative Practices. 4.11.4 Runoff and Sediment Control. 4.11.5 Wetlands. 4.11.6 Rainwater Harvesting. 4.11.7 Rooftop Runoff Management. 4.11.8 Filtering Systems. 4.11.9 Erosion and Sediment Control Plans. 4.11.10 Controlling Runoff from Croplands. 4.12 Case Studies. 5.0 Conclusion. 5.1 Avoiding Predictions. 5.2 A Focus on Sustainability. 5.3 Revisiting Atlanta. 5.4 Legal Battles. 5.5 Addressing the Problem. 5.6 The Future. Further Reading. References Index.